The balance of life here pays dividends in how we feel – body, mind, and spirit. 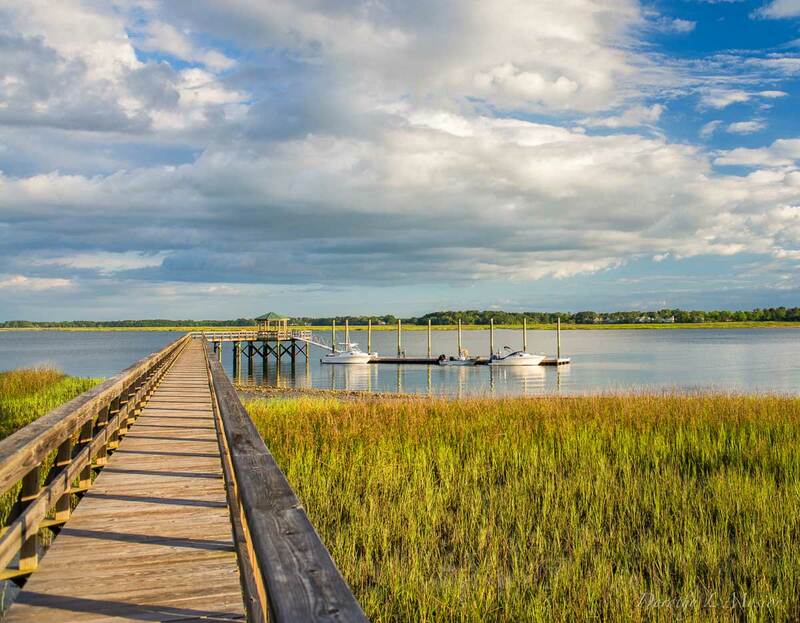 This balance plays a part in making Callawassie Island one of the best places to live in South Carolina. So physical fitness is an important part of the payoff. Achieving that payoff is easier as the means of fitness are closer at hand on Callawassie Island than in our lives before. And the ways we enjoy our Island life day-to-day include more active kinds of fun. The Island life is something our neighbors seem to have been seeking all their lives, whether or not they were conscious of it at the time. 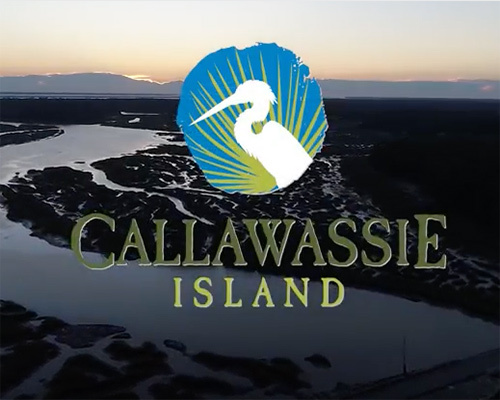 Many of us find that we have more time to enjoy life, and because Callawassie Island offers so much, we have the things to enjoy right at our doorsteps. 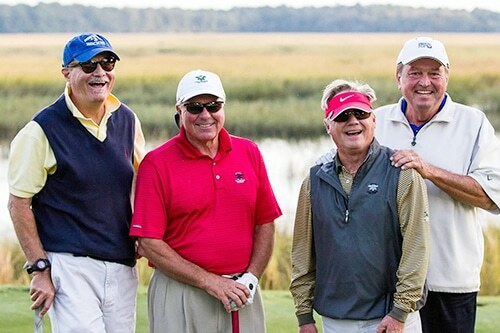 When we selected from among the private communities in South Carolina, this was, for many of us, an important factor. For our families with younger children, having close access to fitness amenities is crucial, as they need to get their exercise in whenever they can. Many of us with grown children remember a period of adjusting when they graduated and went out to the world on their own. After child-rearing, the opportunity to take time for yourself can take some getting used to. The opportunities for fitness and wellbeing here on Callawassie Island help make this adjustment pleasurable and seamless. Our glorious, sub-tropical climate and coastal surroundings bring with them the opportunity to enjoy exercise outdoors year-round. Many of us came here from parts of the country where winter involves a certain degree of hibernating, so outdoor exercise has to wait patiently for spring. Not so on Callawassie Island. Enjoy the serenity of the outdoors while staying active and playing one of our three Tom Fazio-designed golf courses. 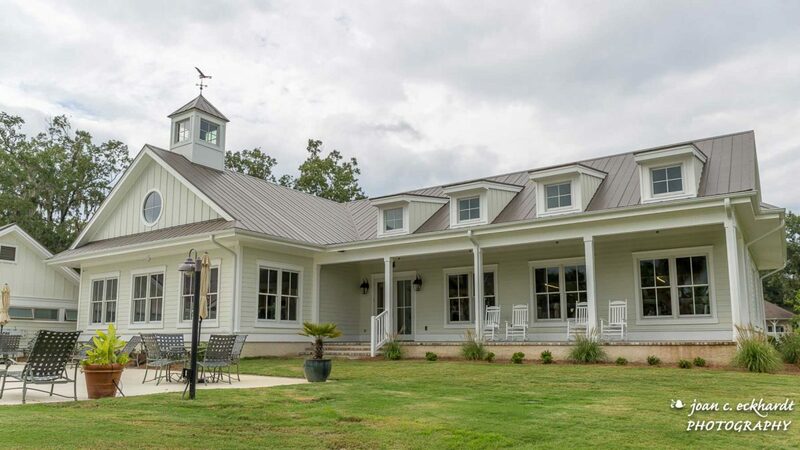 Skillfully designed to engage the natural landscape of the Island, including our ancient, majestic, Spanish-moss-draped oak trees, we enjoy mixing and matching among three different sets of nine-hole designs, each one with its own personality. That’s a rare possibility, among South Carolina gated golf communities, for personalizing your round. 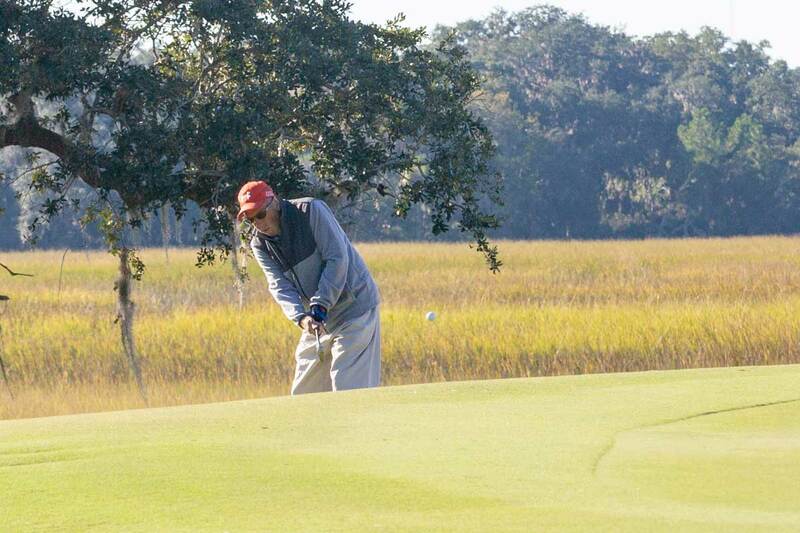 Callawassie Island is recognized as one of the best golf communities in South Carolina thanks in large part to our dedicated and professional staff. Our community’s General Manager, Jeff Spencer, is in fact not only a golf professional himself but also a PGA Ambassador. 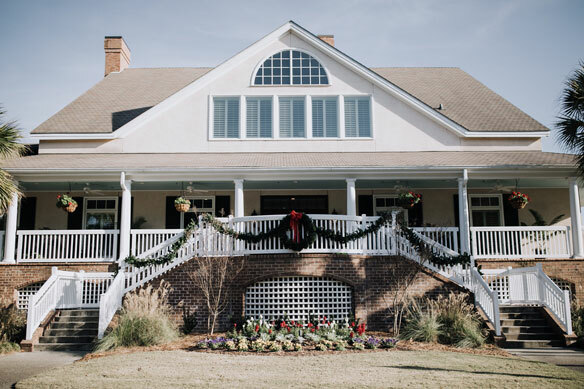 At the Club, Golf Course Superintendent Ryan Watson and Head Golf Professional Wes Grantham give us not only their expertise but can give you a lesson that may just improve your handicap. 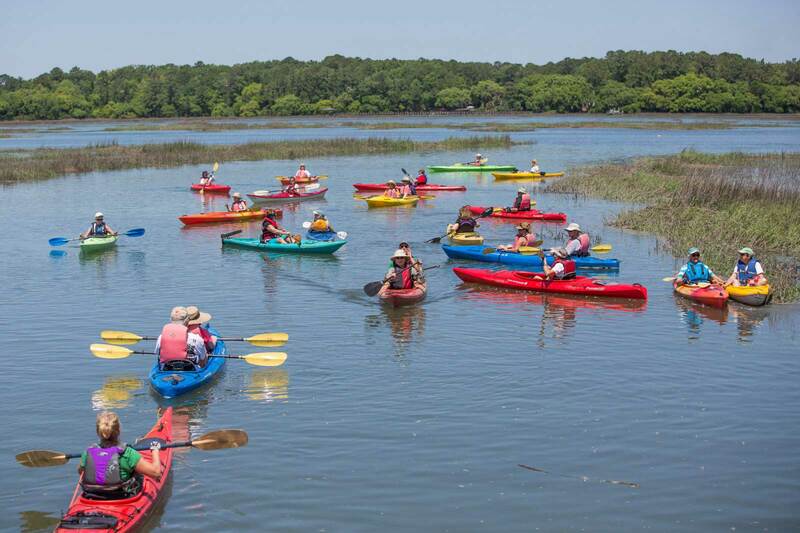 Surrounded by coastal waters, it’s natural that swimming and kayaking took their place among the ways Callawassie Islanders enjoy fitness. With swimming pools at both the Clubhouse and at the River Club, open year-round, Islanders are assured of just the right place to enjoy, whether it’s entertaining the grandkids or swimming serious laps themselves. The Club pool is both heated and cooled, depending on season and weather conditions, so no matter when you choose to swim you can count on a comfortable, refreshing experience. And our kayaking club assures Islanders of enjoying a form of boating that’s beautiful, close to nature, and excellent exercise too. The walking and biking opportunities on Callawassie Island offer 880 acres of variety, as an unsurpassed setting for enjoying the outdoors while reaping the fitness benefits of moving through it. The fact that these opportunities are literally right outside our doors here makes moving for health a pleasure, any time of day, any time of year. Speaking of fitness year-round, members can enjoy exercise rain or shine inside Callawassie Island’s new Fitness Center. Like fitness centers everywhere, it’s a little busier now, early in the year, as people pursue new resolutions they made. However, compared with other places, the center on Callawassie Island sees steadier use because many Islanders have worked fitness into their daily lives. Here you’ll find cardio equipment of the most up-to-date kind for the health and efficiency of the heart and lungs. Our weight room offers weights as well as resistance exercise equipment to bring tone to the muscles and maintain bone strength while giving a boost to the metabolism. A big, bright area for group fitness hosts sessions with visiting experts and trainers in Pilates, Tai Chi, Yoga, and many other disciplines. The reasons for such a wide view of fitness might be found in the experience of Certified Fitness Director Cyndi May. Cyndi’s life before the Island included exploring the many paths to fitness, and Cyndi’s appreciation of what each path has to offer means our point of view here can support just about everybody’s preferences for how to reach the best condition of their lives. To improve upon that condition, even more, the Fitness Center boasts treatment rooms for massage and physical therapy to soothe tired muscles and joints. For those that may require a little more care than we offer on property or those that might get a little too carried away in their workouts and need some attention, there’s good news. Callawassie Island is just about equidistant from Beaufort Memorial Hospital and Coastal Carolina Hospital. Both have earned excellent ratings from HealthGrades; each is about a half hour from Callawassie Island. Striking a balance between healthy eating, exercising, and taking care of yourself is easier to do on Callawassie Island than other communities because not only are the resources at your fingertips, but your neighbors are equally as enthusiastic and as invested as you. For health and fitness, for wellness and overall wellbeing, Callawassie Island is the home that offers it all.